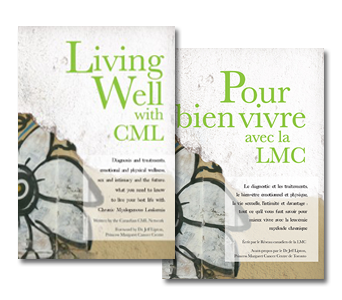 In honour of World CML Day – September 22 – the Canadian CML Network is featuring the stories of people whose lives have been forever changed by CML. This story comes anonymously from a caregiver. My husband was diagnosed with chronic phase CML in the spring of 2016. It was not only a scary time, but also an emotional roller coaster. Our first clue that something was wrong was when he became so extremely tired that we went to the emergency department looking for answers. Many hours and vials of blood later, he was admitted for further testing. After a couple of anxious days, we received a diagnosis of CML and an appointment for a bone marrow biopsy. We don’t remember much about this time – at least I don’t – those were long, sleep-deprived, crazy days. When the hematologist told us that the prognosis for CML was typically good, and that treatment was a pill, we began to breathe easier. My husband started Gleevec about a month after he was diagnosed and we were on high alert for side effects. I had made many copies of the list of possible side effects that was given to us by our oncologist, which I kept in the car, my purse and at the office. If anything seemed out of the ordinary, I would grab the nearest copy to see if it was something serious. Although the side effects did not take long to appear, many of them seem to be improving with time, with the exception of fatigue. A few months ago, we did not speak the language of CML, but now we talk about log reductions, TKI drugs and translocated chromosomes. Like many others, we have spent a lot of time online, learning about CML. Online discussion boards have been helpful, especially when it comes to reading about other people’s experiences with Gleevec. We are still getting used to life with CML. Fatigue continues to be my husband’s biggest issue. It is profound and unpredictable, and our fingers are crossed that it improves. We each have our favourite spots on the couch. The other day I sat down where he normally sits and it was like sitting on stone. Sure enough, CML has brought so much couch-time that the cushion has compressed. We are thinking that at the next appointment, we will use this as a way of describing the extent of the fatigue that my husband experiences every day. As challenging as these past few months have been, not a moment goes by that we are not grateful for all the positive things that have come our way. First, Gleevec seems to be working and my husband has achieved a 1.6 log reduction at the 3 month mark. That was indeed cause for celebration. Then there are the friends and family who have been there for us in amazing ways; the friend in B.C. who connected me with her aunt, a retired oncology nurse, who in turn, gave us an invaluable ‘orientation’ early on; the friend who brought many meals to our door; my colleagues at work who filled in for me when I was too overwhelmed; my husband’s friend who began taking him for coffee once a week, and has not missed a week since. These people are gems, and for them we are profoundly grateful. We have also found comfort in the CML community. In June, we attended the Canadian CML Network’s conference and, for the first time, met other people living with CML. It is great to know that we are not alone.